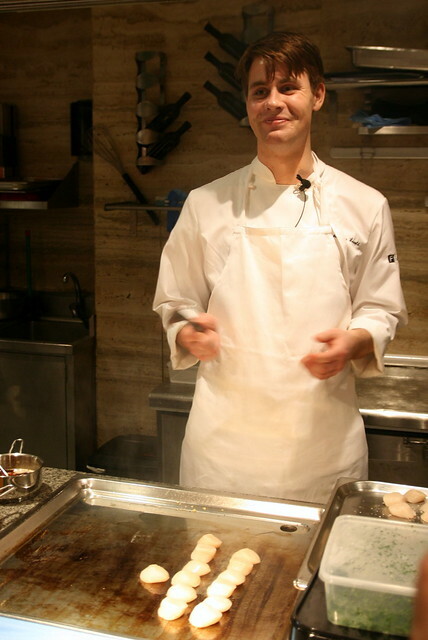 Norwegian guest chef Adrian Løvold will dish out specialties like Salmon and Asparagus with Brown Butter emulsion, and Steamed Saithe with Mushroom Stew. Young lad is only 25 but started cooking 12 years ago. After years with Bocuse d'Or winning restaurants and a brush with Thomas Keller's The French Laundry, he is now a culinary consultant. Adrian is on a tour of Southeast Asia for three months, imparting Norwegian cooking skills to other chefs and learning from them. You can catch him in action behind the cooking counters. Yes, the girls (and some guys) at my table thought he was quite the dish himself. 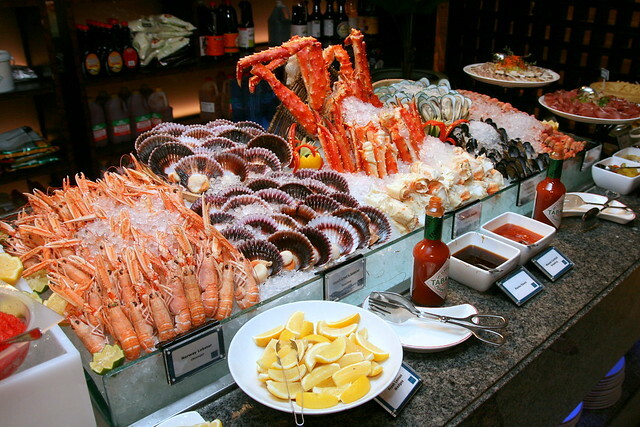 So yes, plenty of seafood. Salmon - smoked, steamed, sashimi-style, grilled and even tandoori-style - is of course a key feature. 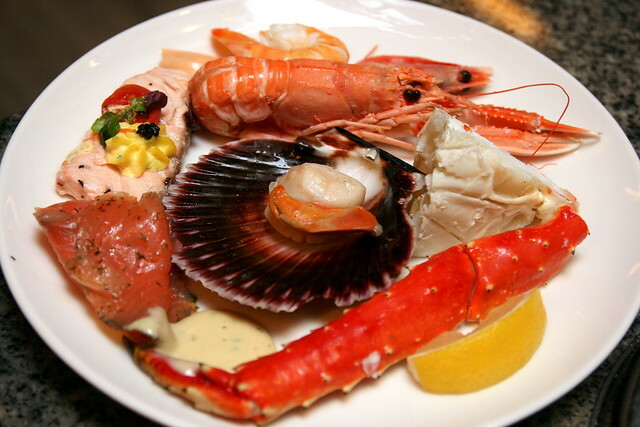 Shellfish of all manner - Atlantic lobsters, blue mussels, deep sea sweet prawns, scallops and King Crabs - on ice. Plus caviar and lumpfish roe, parma ham and terrines nearby. Yeah, you know you want some. Come and get it. Nyums. 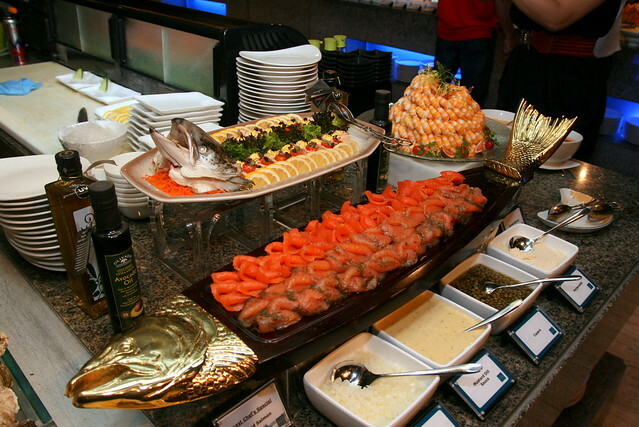 These days I can't eat much at buffets, but I love doing the plating and arranging the bounty. Then afterwards I worry about "how am I going to finish this?" 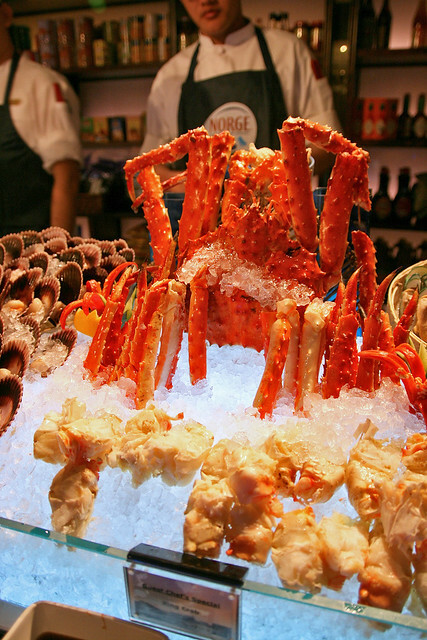 How is fresh seafood best enjoyed? RAW! 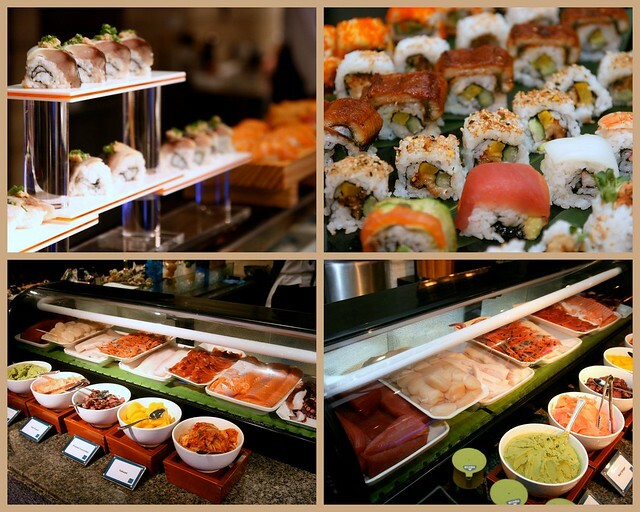 Tuck into fresh sashimi Norwegian Salmon, Halibut, Scallop and an assortment of Maki Rolls such as Saba Mackerel Maki Roll. 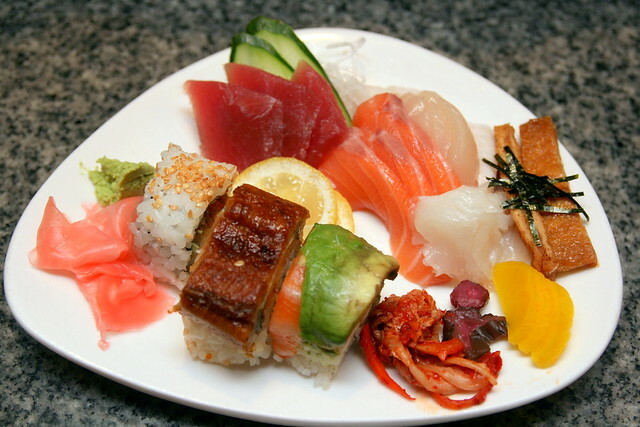 Other sashimi include mekajiki, tuna, tako (octopus), and hokkigai (surf clam). The sushi and sashimi seems better this time round, compared to the last time I was here (for the Kochi/Kagawa promotion). 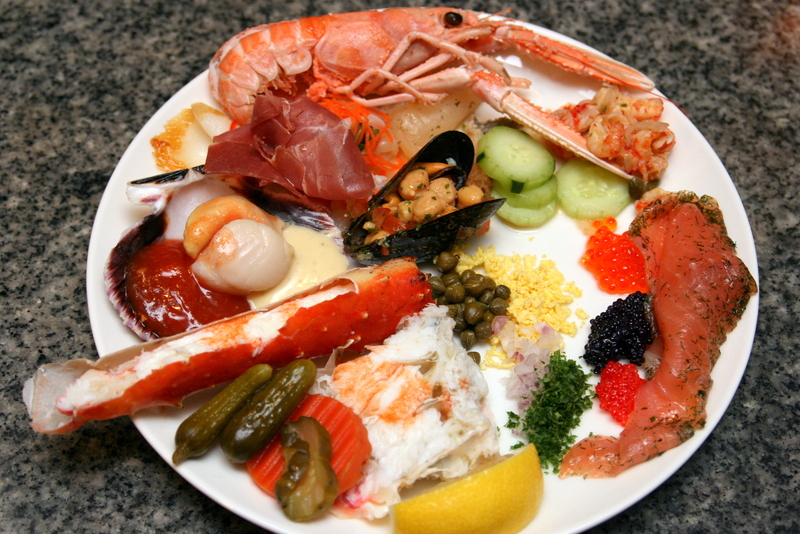 Of course, Scandinavia is well known for its cold and cured delicacies. But it's not all cold preparations here. 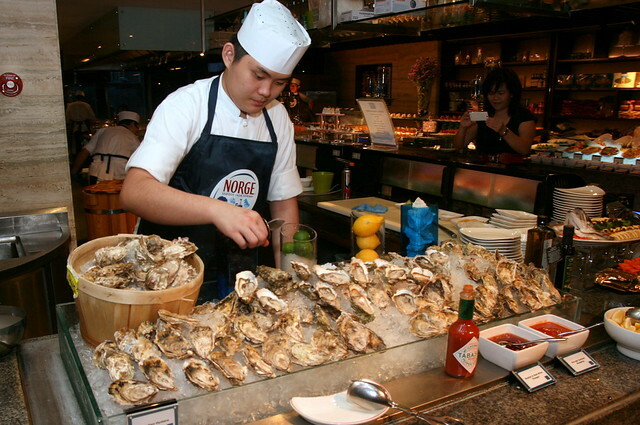 A special station will boil seafood of your choice. 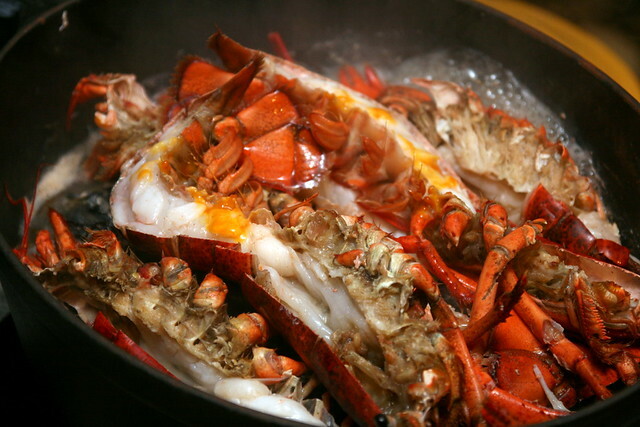 Lobster, scallops, mussels tossed in separate casseroles each with seaweed and filtered seawater. 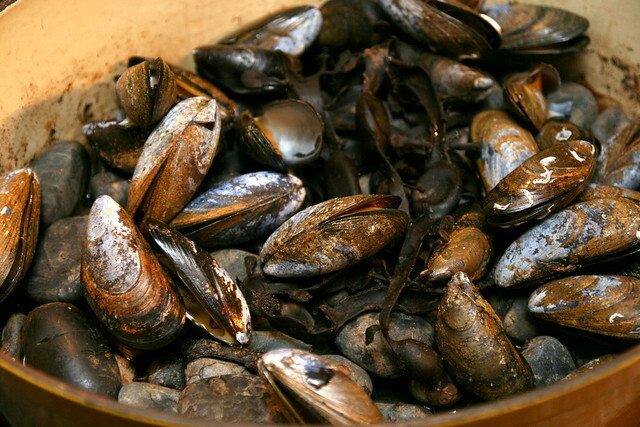 Personally, I'm not too enamored with this method of cooking - all the seawater, while evocative of coastal splendour, is a little too salty and overpowers the delicate sweetness of the shellfish. It's got me thinking of Tom Hanks' character scavenging for food in the seas in the movie Castaway. 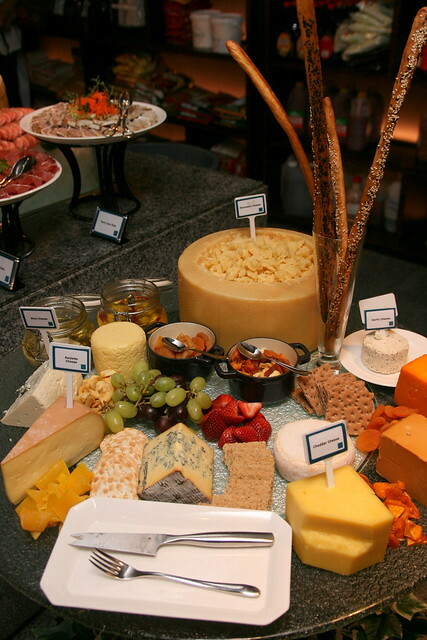 There's even a cheese corner, but I don't think it gets much attention, with all the seafood stealing the limelight. 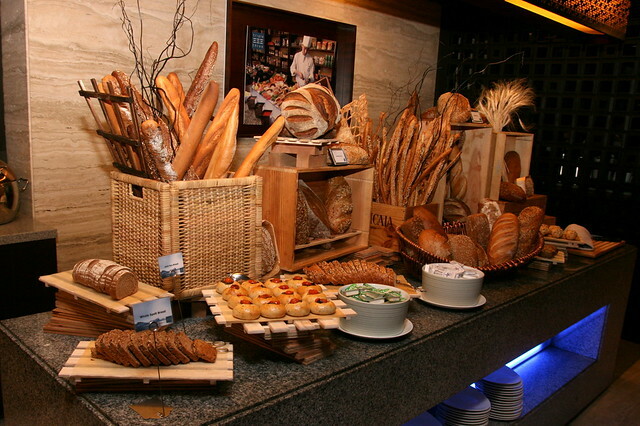 Ditto the wonderful looking bread station. I had to control myself and not touch any of this. 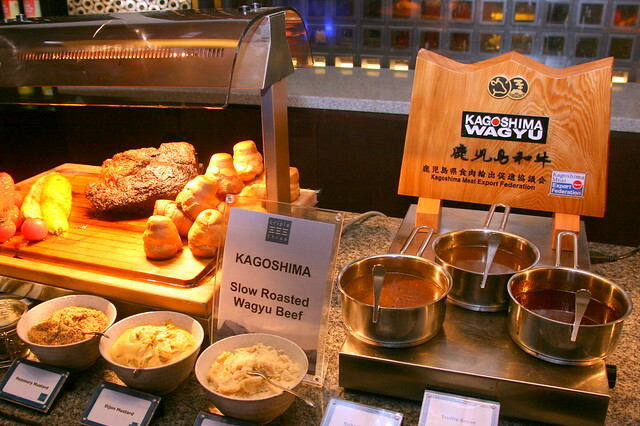 But one station will get you queueing and red meat lovers rejoicing - the Kagoshima slow roasted wagyu beef! 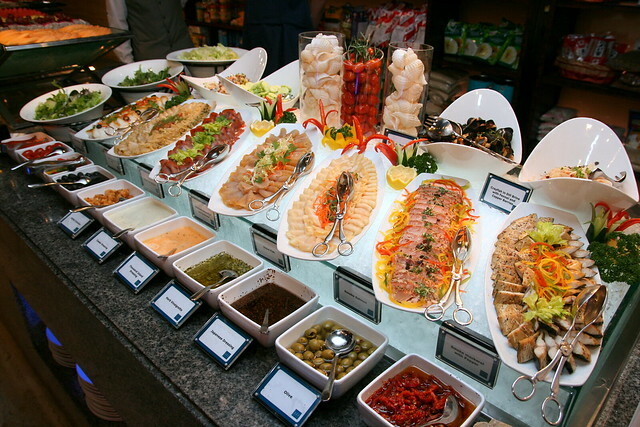 You must not miss, no matter how enticing the seafood is. Also on the plate, some yorkshire pudding, ham and salad. Plus Atlantic Cod with Beer Batter and Remoulade and Grilled Greenland Halibut with Truffle Miso, Grilled Asparagus from the grill station. I didn't take the mashed potato but heard it was good. 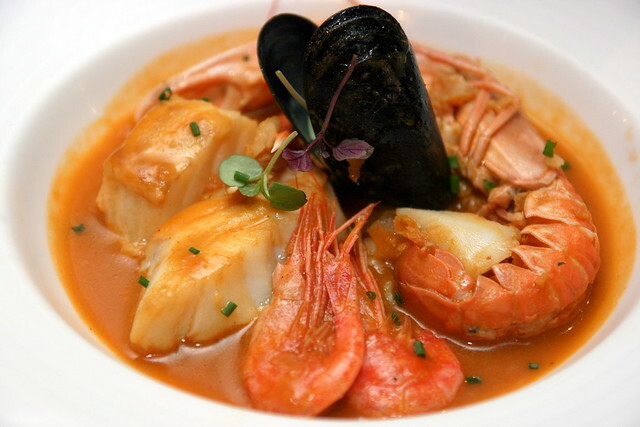 Norwegian Seafood Bouillabaisse - Monkfish, Cod Fish, Sweet Prawns, Mussels, and Scampi. 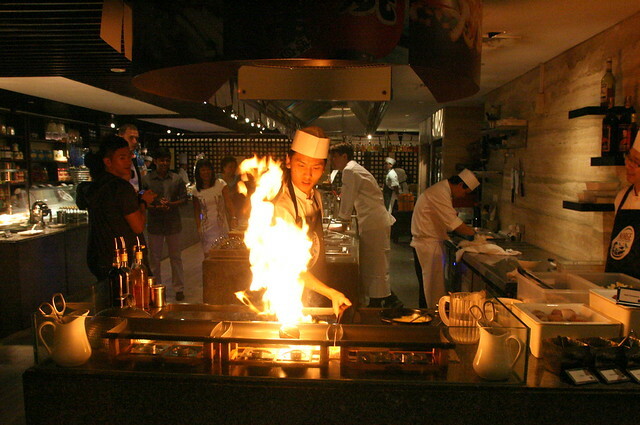 Regular stations are still available, like the teppanyaki counter where you can get grilled fish and beef tenderloin, along with mixed vegetables. 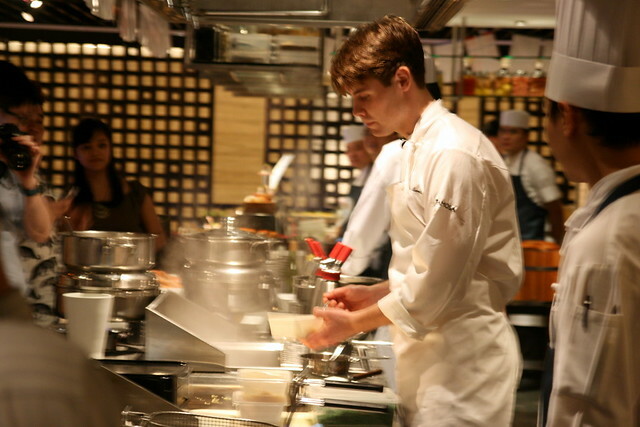 Next door is the tempura station with Tiger Prawn, Haddock Fish, Shiitake, Japanese Sweet Potato, and Hokkaido Pumpkin. There's dessert too, if you still have any space left. But really, I'll tell you a secret - the best food is in the Indian section. 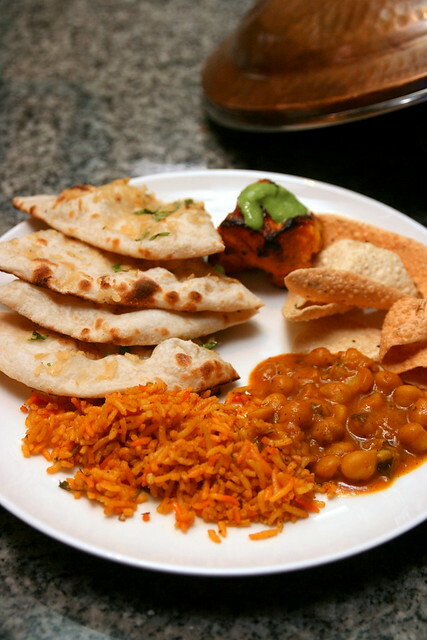 Freshly made naans, wonderful curries, nice tandoori items and lots of papadum. 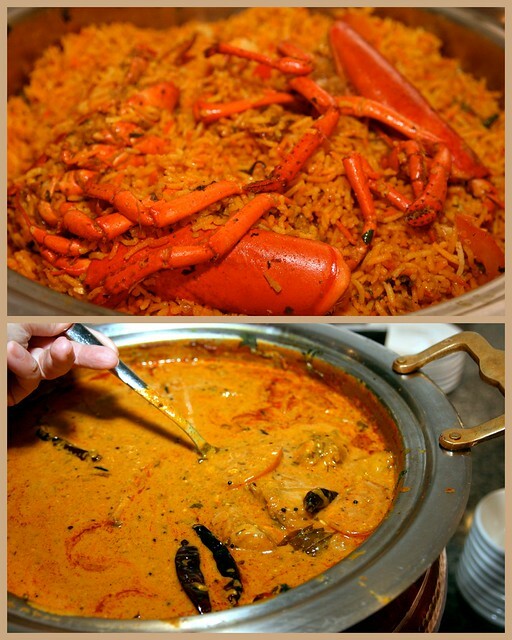 For this promotion, there's lobster briyani (talk about luxurious!) and Norway Saithe Fish Curry (sublime!). 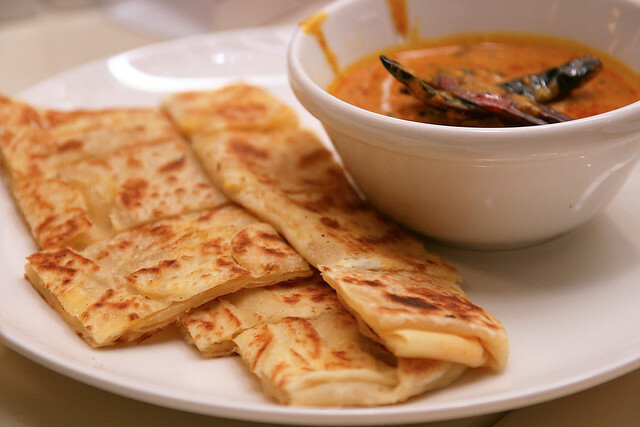 The fish curry goes so well with the warm, crisp roti prata. There are also Chinese-style preparations. 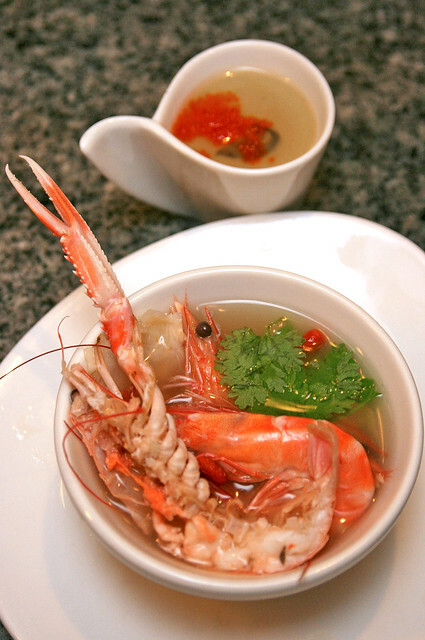 Live prawns and Norway Scampi with Hua Tiao and Chinese Herbal Soup. The dang gui (Chinese Angelica) is strong in this one! But it's the perfect soothing broth after a big meal. Oh, the prawns are really live. You will witness them being hauled out of a tank and tossed, jumping for their lives, into a hot wok of boiling soup. So you'll either be smiling with joy at the freshness or hanging your head in guilt for ordering their death warrant. The scampi is pre-boiled though. The little cup (top of photo) of Black Ink Chawanmushi with Salmon Trout Roe is also from the same section. 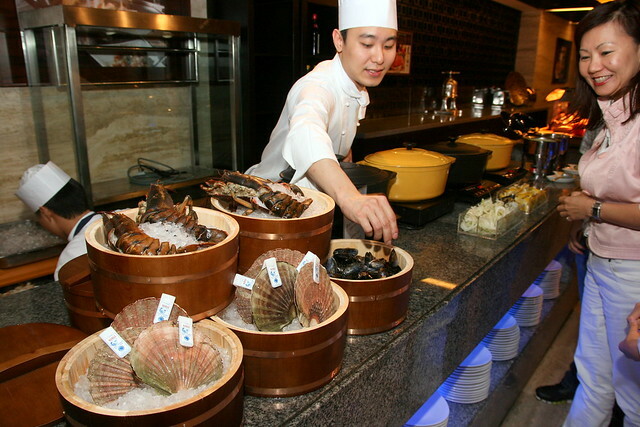 The adjoining Wok station serves Wok-fried Scallop with Asparagus, Wok-Fried Sambal Fried Rice. 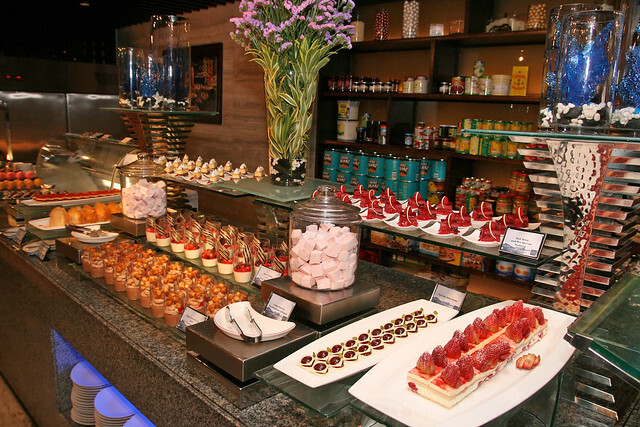 Finish off with Norwegian desserts and pastries such as Apple Gjetost pie, a Scandinavian version of the classic apple pie, Crème Brûlée, Opera Cake, and Krumkake, a Norwegian waffle cookie and Triple Three’s sweet sensations like macarons and lovely ice cream. 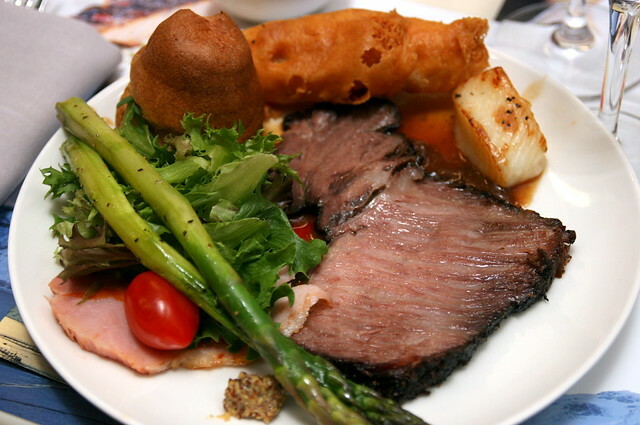 DBS/POSB cardholders get 50% off for 2nd adult diner. Eat@MANDARIN members will enjoy a special glass of cocktail/mocktail on top of their dining discounts. For dining reservations, please call 6831 6288/71 or email dine.orchard@meritushotels.com. Many thanks to Mandarin Orchard for the invitation. The buffet fell terribly short of minimum expectation. Service was lousy, food was not far off. Stick to ritz, regent and Shang people. Triple 3 came off with triple zeros. I want to try the Beer Battered Filets. Yum! Thank you!